As the second-oldest town in Kentucky, Bardstown has a storied history for every city block. As you walk the grounds of centuries-old plantation homes, view relics from the Civil War, or stroll through a 300-year-old cemetery in the heart of downtown, the rich legacy of this beautiful Kentucky town will come alive right before your eyes. Check out these tips and tricks for planning an adventurous—and educational—history tour of The Bourbon Capital of the World®. Find rare artifacts like Abraham Lincoln’s liquor license at The Oscar Getz Museum of Whiskey History. Bardstown, Kentucky, is where people can explore the true heartbeat of Bourbon. The town plays host to no less than seven powerhouse distilleries (with more opening every day), and continues to drive the ongoing cultural legacy around making fine Bourbon. 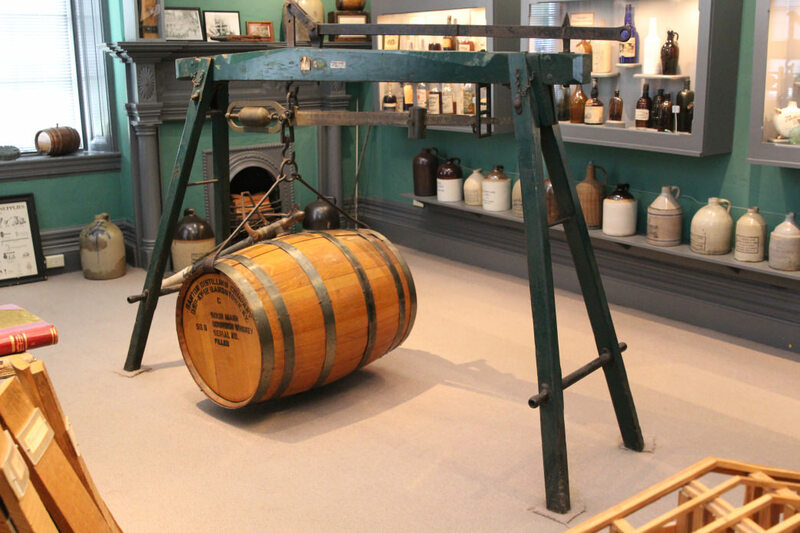 Start your historical escapade with a visit to the Oscar Getz Museum of Whiskey History. Not only is the building itself historic, having been built in the early 1800s, but inside, visitors embark on self-guided tours to view an impressive collection of rare and antique whiskey bottles, industry art and artifacts, and historical documents that all chronicle the birth and maturation of American whiskey. The museum also includes exhibits on Presidents George Washington and Abraham Lincoln, authentic moonshine and whiskey stills, novelty advertisements from throughout the industry’s history, specialty spirits containers, and more. Guided tours are also available, but this little slice of Bardstown history is worth taking your time on! Bourbon-loving history buffs should also be sure to stop by the multi-award-winning Heaven Hill Bourbon Heritage Center. While every distillery in Bardstown is steeped in the history of the Bourbon industry, the Bourbon Heritage Center offers a wider variety of historically focused tour options in which experienced Bourbon hosts can guide visitors through the heritage of America’s signature spirit. Plus, it’s an official stop on the Kentucky Bourbon Trail®, so you can collect the stamp in your Kentucky Bourbon Trail Passport and move one step closer to completing the journey. 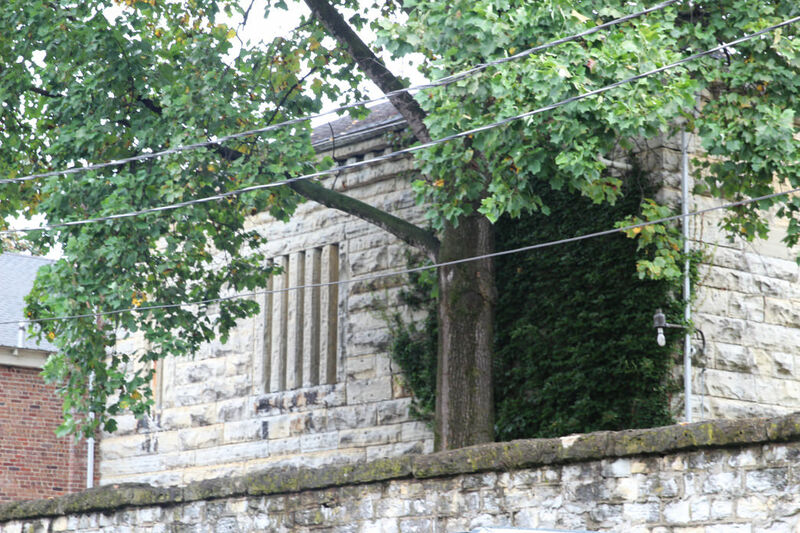 The Old Nelson County Jail boasts stunning limestone walls that are 30 inches thick! While you’re enjoying your Bardstown history adventure, you should also visit the Old Nelson County Jail. Made almost entirely of original Kentucky limestone, this property has 30-inch-thick walls and housed prisoners for almost two centuries until 1987. Today, this historical hot spot operates as a bed and breakfast known as the Jailer’s Inn. Legend has it that the grounds are haunted by some of the jail’s former residents and the original jailer. In fact, the Travel Channel once named the Jailer’s Inn one of the ten most haunted places in America. Established in 1789, Pioneer Cemetery features historical gravestones and several ancient chest tombs. 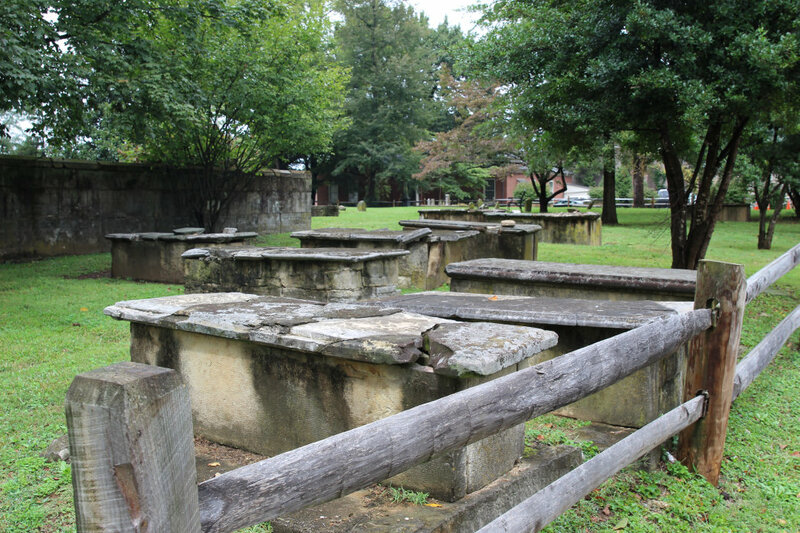 Located just behind the Old Nelson County Jail is another one of Bardstown’s historical treasures, the Pioneer Cemetery. Even though it’s more than 300 years old, the Pioneer Cemetery on South Fourth Street has been so well kept that you can still see the gravestone inscriptions of some of the first inhabitants of Bardstown. For visitors interested in the history of the great American frontier, this must-see site features a headstone dedicated to the life of a Revolutionary War veteran, another for the famed inventor of steamboats, John Fitch, and a number of other notable figures from the very beginning of the nation’s story. 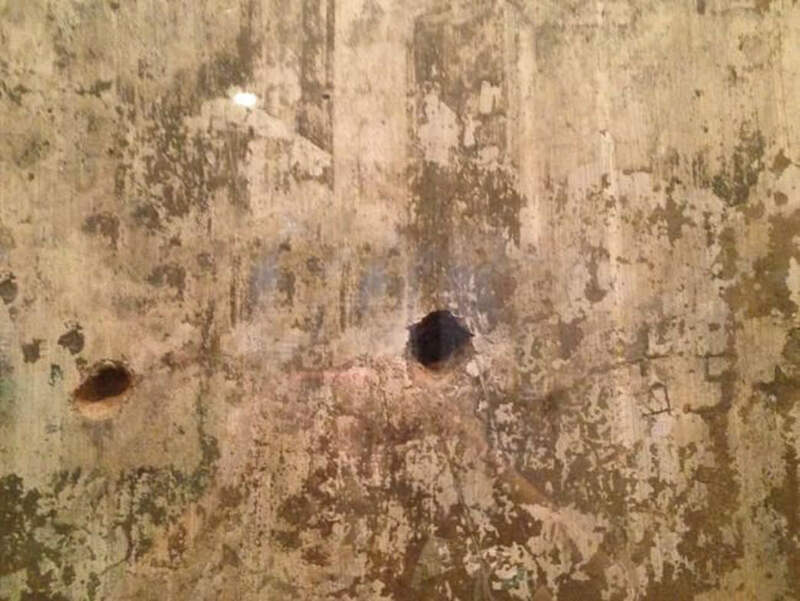 Local lore attributes these bullet holes in the wall at Old Talbott Tavern to the infamous outlaw Jesse James. When you’re ready to refuel, break for lunch at the Old Talbott Tavern, a landmark local saloon that truly embodies Southern hospitality and style. 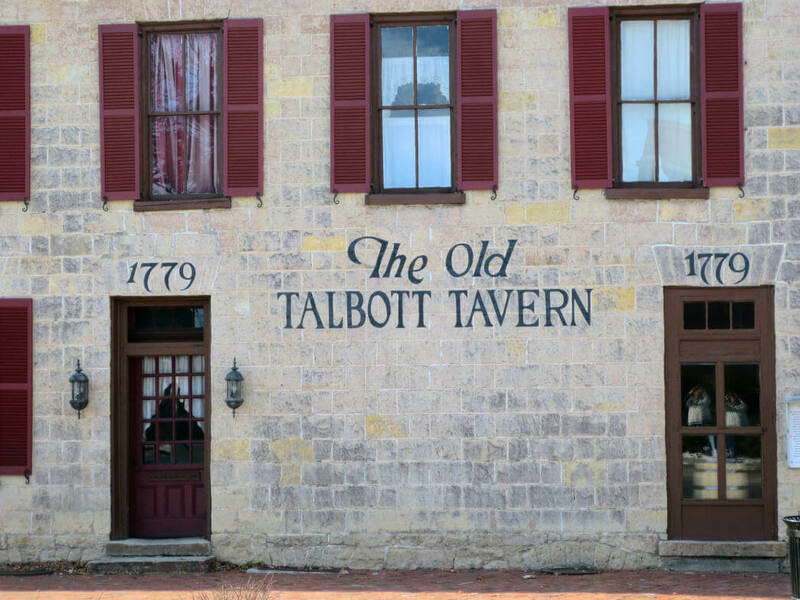 The Old Talbott Tavern has been a welcome haven for many weary travelers over the last 200-plus years, and it’s said to be the oldest Western stagecoach stop in America. Famous folks like frontiersman Daniel Boone, President Andrew Jackson, and even young Abraham Lincoln have graced the halls of this tavern. While you’re waiting on your next Bourbon, check out the walls around you. If you look carefully, you can still see bullet holes on the second story landing, allegedly made by whiskey-loving outlaw Jesse James. If you’d like a little more historical ambiance to go with your meal, stop by Kreso’s Restaurant while you’re in town. The restaurant itself is located in Bardstown’s historic Arco Theatre, which operated from the 1940s through the 1960s and features a public gallery of the owners’ personal art collection from all over the world. At Kreso’s, you can recline in lounge-style theater seats with a Bourbon in hand or check out some of the enormous projector equipment used throughout the decades – this place is really one of a kind. Don’t miss the classic Georgian architecture (and beautiful spiral staircase!) at Wickland, Home of Three Governors. 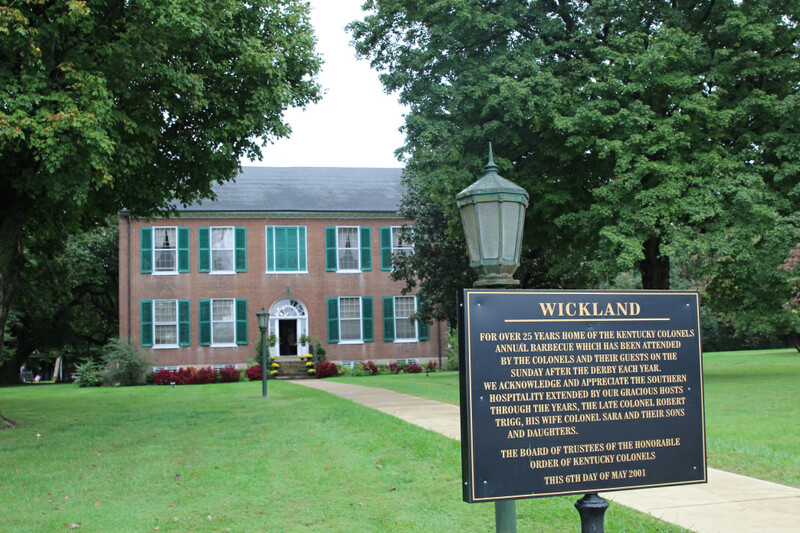 Bardstown is also home to architectural gems like Wickland, Home of Three Governors. This historic mansion was built circa 1825 and is considered one of the most impressive Georgian-style homes in the state. It features high ceilings, a double parlor entryway, intricate woodwork, and meticulously assembled brick landscaping, the sum of which offers visitors a firsthand glimpse into Southern living from a bygone era. If you like the architecture at Wickland, pencil in a visit to the Basilica of St. Joseph Proto-Cathedral too. Like Wickland, this beautiful place was designed by famed architect John Rogers and is known for its stately columns and gorgeous stained-glass windows. It also happens to be the very first Catholic church to have been built west of the Allegheny Mountains. From notable monuments to a rich and storied past (largely fueled by Bourbon), Bardstown continues to be one of the nation’s top tourist picks for history lovers. So, even if you’re limited on finding time to explore, Kentucky’s second-oldest city is guaranteed to bring to life the rich American history you’re looking for.